The non-stop action and entertainment of the HSBC Sydney 7s continues in Protected content tickets now on sale to the iconic tournament that lights up Sydney’s summer with a multicultural festival of Rugby from February 1-3. Teams from all over the world will descend on Spotless Stadium at Sydney Olympic Park to battle it out in the annual HSBC Men’s and Women’s Sevens World Series events. 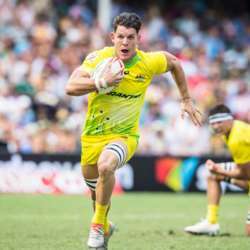 After achieving the dream double for Australia in Protected content , Australia’s Qantas Australian Men’s and Women’s Sevens teams will be out to defend their titles against a pack of hungry challengers from New Zealand, Fiji, England and South Africa. The precinct will be transformed into a Rugby festival with live music, rides, interactive entertainment, the kids' zone, and plenty of places to eat and drink, coupled with the best Rugby Sevens athletes from across the world doing battle just a year out from the Olympic Games in Tokyo. Fan-favourites that have become synonymous with the HSBC Sydney 7s will return with Dance Cam, Kiss Cam, The Gun show, and Karaoke all to feature again in the Protected content . There will also be some new additions and surprises to be announced over the coming months. The doors will be thrown open on Friday 1 February with free entry for day one of the tournament which will feature some of the biggest names in the sport including Emilee Cherry, Charlotte Caslick, Emma Tonegato, Portia Woodman (NZ) and Ghislaine Landry (CAN).